Our next Teacher Feature is Mrs. Melissa Duncan. 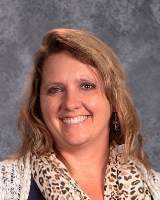 Mrs. Duncan has been with the district for 4 years. 7. Question you get asked frequently: Do we HAVE to do this? 8. Unique Fact: I race a dirt modified race car.